The Construction Forestry Mining and Energy Union (CFMEU) says that migrant workers will be hardest hit by new laws introduced by the Turnbull Government. 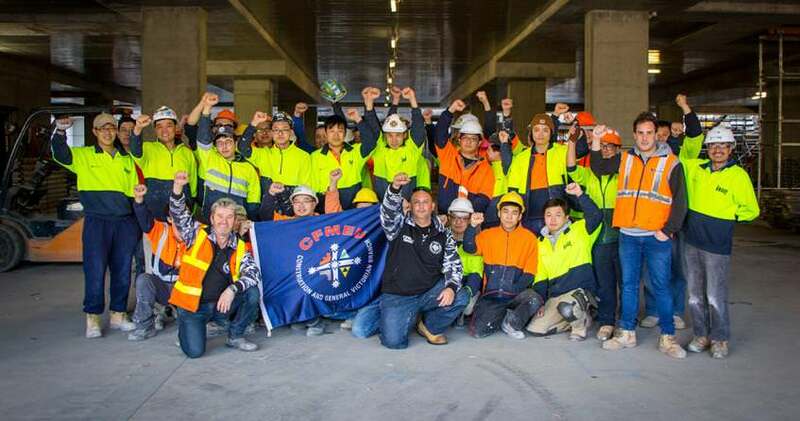 National CFMEU Construction Secretary Dave Noonan said that while the Turnbull Government is attacking all workers, those from non- English speaking backgrounds are particularly vulnerable. “In the construction industry, new laws mean wages will be cut and conditions and safety for workers will be cut. “There will be more people in casual employment and less job security. “People will be fearful of speaking out for fear of losing their jobs,” he said. Mr Noonan said the new laws banned unions from being able to protect people from bad employers who rip off workers. “Many workers of non English speaking background come to the union for help because they have been underpaid and have not received their legal entitlements. “These new laws will make exploitation of workers worse. We will be banned from putting in protections for workers over a range of issues in agreements. Mr Noonan said the Turnbull Government’s assaults were not just aimed at construction workers. The CFMEU is planning a big campaign to protest against the Turnbull Government which begins with the National Day of Action on March 9. Rallies will be held in Melbourne, Sydney, Brisbane, Hobart, Canberra and Adelaide. Perth will rally on March 21.